You know you are getting old when ... it's the 25th anniversary reunion of your university class. That's the case for me in September 2018, as I graduated from what was then called RyersonPolytechnicUniversity in 1993. We were the first year to graduate with the “university” designation, and our journalism class was the last of the three-year undergrad program. Naturally, it has me getting a little introspective, especially about my classmates. It's been a thrill to see so many succeed, whether as TV hosts, writing in newspapers and magazines, creating and running websites, or “joining the dark side” in public relations and communications. As far as books go, and the number published, there's me (14) and Steven Sandor (8), who was one of my early pals at RyeHigh, as we called it, toiling away as we did in the old J-skool building on Gould St., in the basement for Reporting 101 with its rows of typewriters and two personal computers. A couple of other classmates, Kenneth Bonert and Adrian Brijbassi, have written some well-received novels and short-stories. Lord knows it's not a competition though, since there's seemingly so little money out there for authors. 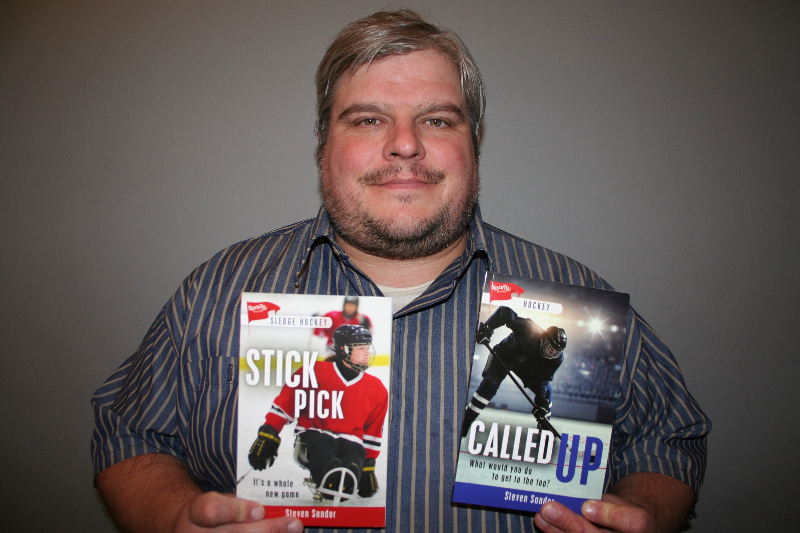 I wanted to spotlight Steven Sandor this go-round for his hockey and sports writing, both in fiction and non-fiction. After Ryerson, he went west, taking a job at a small Alberta newspaper, and building a career. Within a couple of years, he was in Edmonton, writing about his passion for music, which then had him, partly through coincidence, covering the Oilers, and for a time, he wrote content for the team's program. 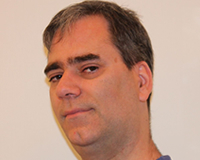 He returned to Toronto — he's originally from Brampton, Ontario — and covered Toronto FC for the Toronto Sun, and back in Edmonton, he was a commentator for FC Edmonton. There have been countless freelance gigs along the way, including hockey content for The Athletic and Reuters. A website project about Alberta hockey landed him the chance to write 2000's The Battle of Alberta: A Century of Hockey's Greatest Rivalry. It's exactly what you think the book is, Calgary against Edmonton, but takes in far more than just the battles of the WHA and NHL teams. His other non-fiction book might be on SIHR members bookshelves: Illustrated Guide to Hockey Sites & History: Toronto, which came out in 2007. Sandor's latest, though, is titled Called Up, and it's a work of fiction in Lorimer's “Sports Stories” series of novels, aimed at roughly ages 10 to 13. It marries the story of a house league player in Edmonton trying to move up to “A” with the dramatic life of a Syrian refugee family coming to town. It's not a stretch to see how learning will take place on both sides of the equation. Hockey is secondary to the story of refugees fitting in, but it's also the draw. Sandor said that a backdrop of soccer and baseball were both considered, but that hockey offered interesting possibilities. He used it as an example of how a writer wants a story to last. “When I edit Avenue magazine, I often tell people that I do the 'doctor's office' test. If someone in a doctor's office picks up an old, old copy of our magazine while that person is in the waiting room, is it still interesting to them? And that's really about how strong of a story you write. And I guess it's up to the readers like yourself to say if this was a good story or not. With fiction and non-fiction under his belt, and another kids book due at the publisher's soon, Sandor has a pretty good grasp of writing. He doesn't see much difference between the two opposite ends of the writing spectrum. One of the adages that I have lived by, since I was a teenager and devoured my Sports Illustrated magazines and the Globe and Mail sports section when it was great in the late 1970s and early 1980s, was to be a better writer you need to read, and read, and read — especially people who are better than you (which is pretty well everyone when you're 10). With that in mind, I love discovering collections of writers at thrift shops, garage sales or the library. There is great enjoyment reading John Lardner, Red Smith, Trent Frayne and Jim Coleman years after they are gone, and it's equally awesome to know that at various points in my career, I got to take a little time out of the lives of Jim Taylor, Allen Abel and the greatest of the greats in my mind, Frank Deford, for whatever project I was doing that overlapped with them. 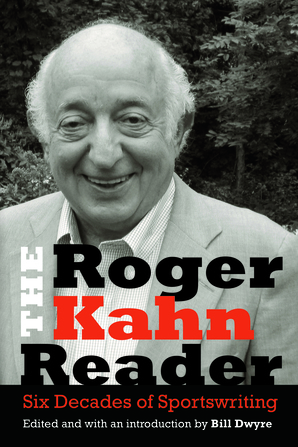 Known primarily for his baseball writing, there are plenty of Kahn gems here through the years. There's a sole hockey piece, “Lafleur (the Flower of Canada)” from SPORT in December 1981. It's great too, but perhaps not enough to justify this collection for your hockey bookshelf. - Last year (https://sihrhockey.org/__a/public/column.cfm?cid=4&aid=512), I talked with Roy and Kerry McGregor, the father-daughter team behind the newly-launched “Ice Chips” series. Book two is out on September 18, titled The Ice Chips and the Haunted Hurricane. Spooky stuff. - D'Arcy Jenish, who has done a number of terrific books on hockey, especially the key book about the NHL's centennial, The NHL: 100 Years of On-Ice Action and Boardroom Battles, has a new book coming out on September 22 about a different battle: The Making of the October Crisis: Canada's Long Nightmare of Terrorism at the Hands of the FLQ. - Ken Reid's Hockey Card Stories 2 is about to hit shelves. The Sportsnet anchor will have a book launch at the Jason George, 100 Front St. E., in Toronto, on Tuesday, October 9, 6:30-8:30 p.m.